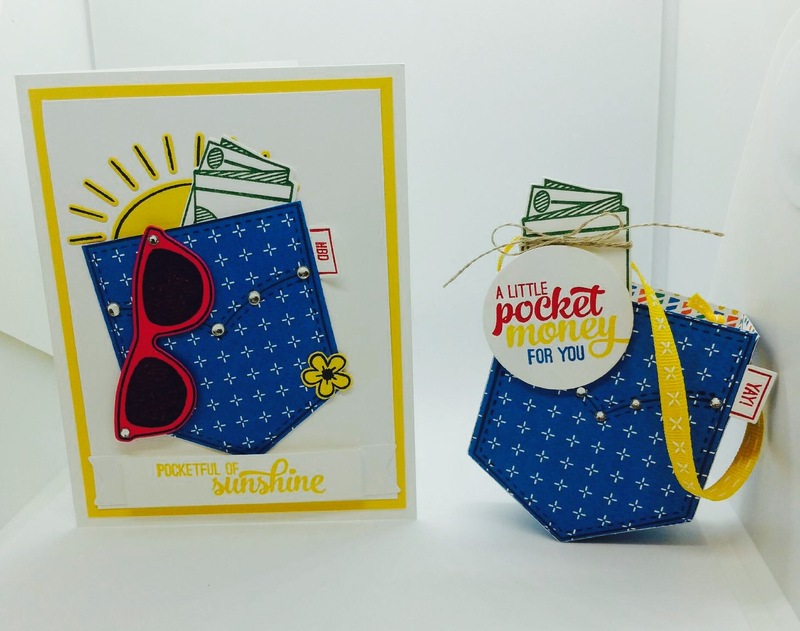 A "pocketful of sunshine!" Doesn't that sound like a great way to go through a day?! I think of that phrase and then start singing that song (it's played in the movie "The Ugly Truth") and it makes me "happy!" So today I started by working on a birthday card for my niece! 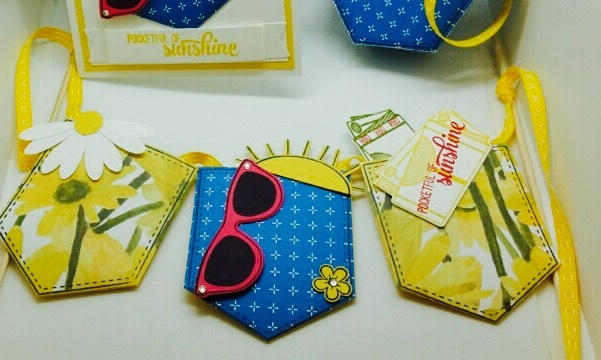 Her favorite color is yellow and this stamp set and framelits bundle immediately came to mind. 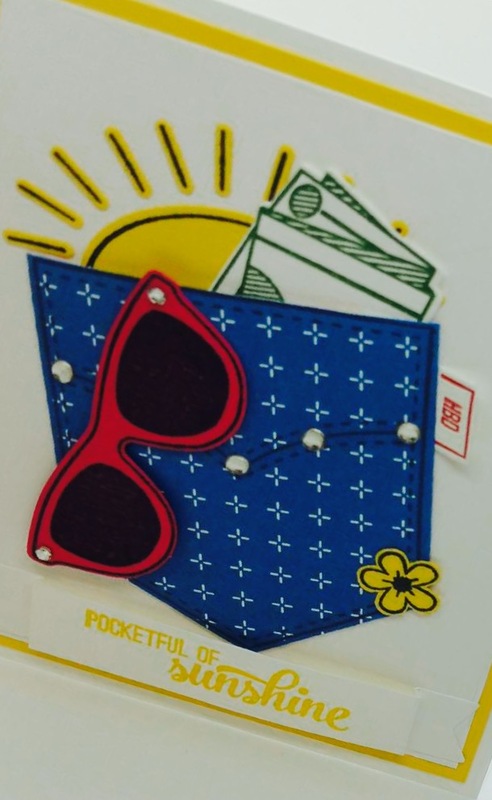 I think the sunglasses are the cutest thing and love the studs on the pocket (and all of the details, really)! I always include a fun, coordinated treat package with any card that I give to someone, so created a 3D pocket treat holder. I simply die cut two of the pockets (for the front and back sides) and made a side panel with a strip of paper which was scored and affixed directly to the tabs already on the pocket pieces. It couldn't be easier to do. 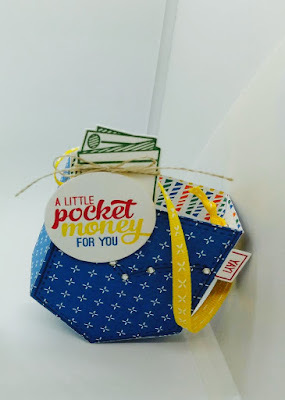 Paper Strip measures: 1" x 7 1/2"
Score long side at: 2 1/4", 3 3/4" and at 5 1/4"
To add a ribbon handle, punch a hole in each side of the container and knot your ribbon ends on the inside of it. How about making a banner with little pockets to fill with treats?? Cute, right?? The center pocket mimics the card and the other two compliment the theme with cheerful daisies (DSP). I added treats in our 2" x 8" cello bags. TIP: To help the candy pouch to stand tall in the pocket, I folded the bottom of the cello bag up behind the candy portion; it kind of gives the candy pouch "a leg to stand on." 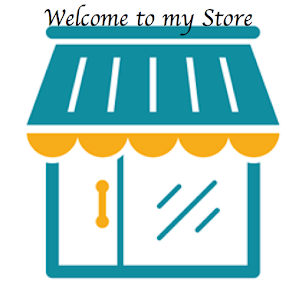 I hope you've enjoyed this project! 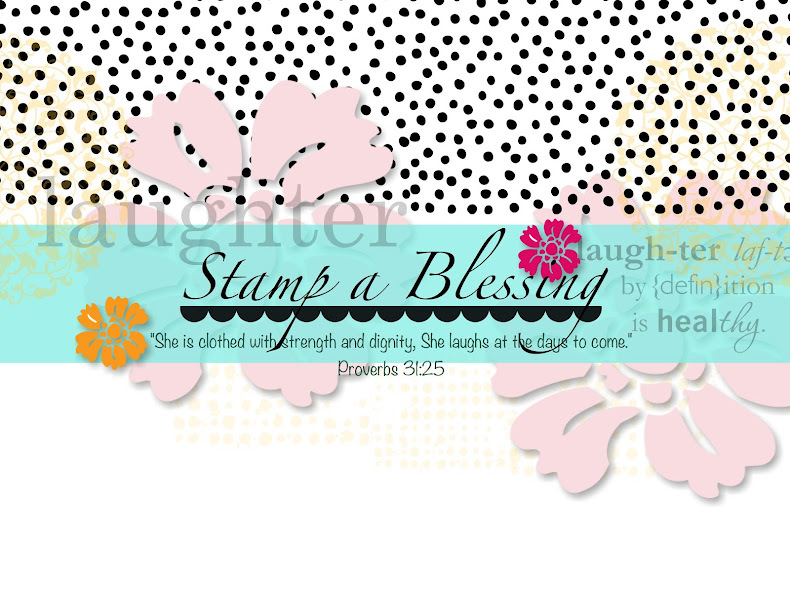 Thank you for coming to visit me on dear Jessica's Stamp-A-Blessing blog! I'll see you again next month! This yellow is so adorable. I am sure your niece will be thrilled with this set! These are great projects and color choices. As always Donna! CUTE project! This set is on my very long "Wish List"! You did a wonderful job my dear friend! 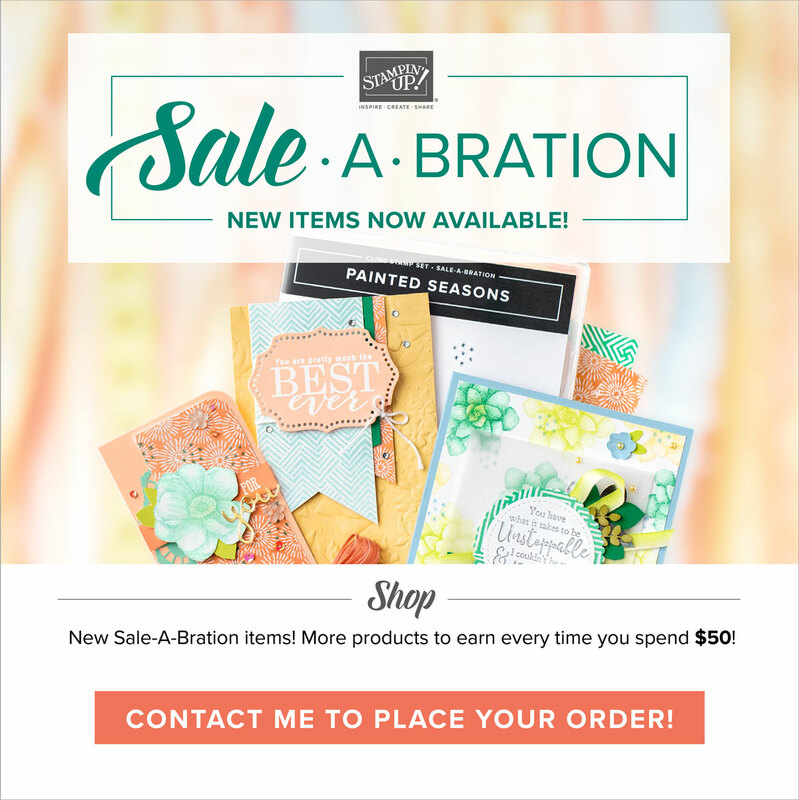 Looking forward to see what you come up with next month! Sweet comments, all, thank you! Yvonne, thank you so much (yay)!! I'm so glad you stopped by, you are so kind! Inspire your Soul Sunday: Press On!